The Concordia University Community Lecture Series on HIV/AIDS has a mandate to develop awareness of the social, scientific, and cultural aspects of the HIV/AIDS Pandemic. 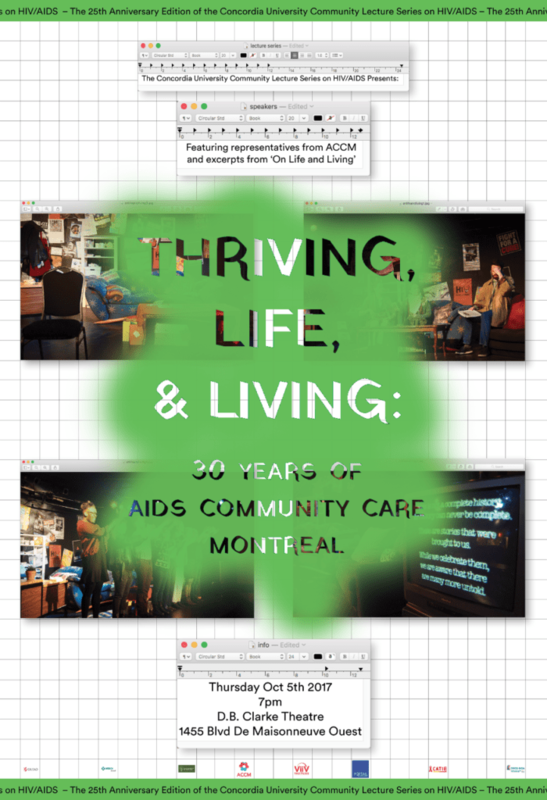 Since 1993, this initiative has worked to create a public space at Concordia for the discussion of the current issues, perspectives, and realities of the HIV/AIDS pandemic and to educate the next generation of HIV/ AIDS researchers, activists, and advocates within the community and student populations. Every year, four guests from various backgrounds are invited to speak to an audience of students, faculty, and community members impacted by HIV/AIDS. The 2017-18 academic year marks the 25th anniversary of the lecture series. The programming for the 25th anniversary edition will include a total of eight events that will run from October 2017 to March 2018.